Today I have a really pretty polish that's exclusive to BeautySoFly, another Singapore based retailer for nail polish. This brand's also new to Nails Talk, so I shall cut the chase and present to you, Pretty Pots Polish! For those of you who are new to this brand, Pretty Pots Polish is an indie polish brand from Melbourne and was launched just last year. And check out the gorgeous logo! 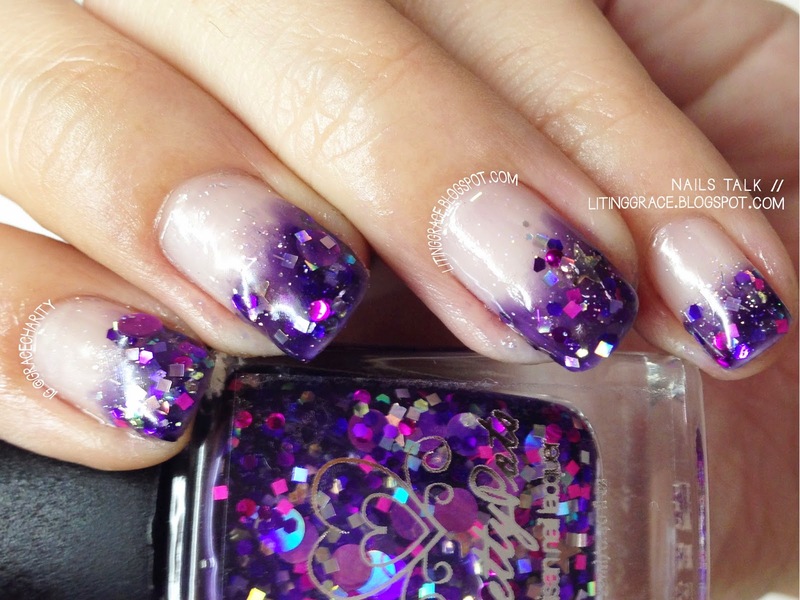 Twilight Reverie, a BeautySoFly exclusive, is a dark purple jelly brimming with violet and fushcia round glitters, golden stars, and lime green iridescent hexes. You can choose to wear it on its own, or use it for layering. 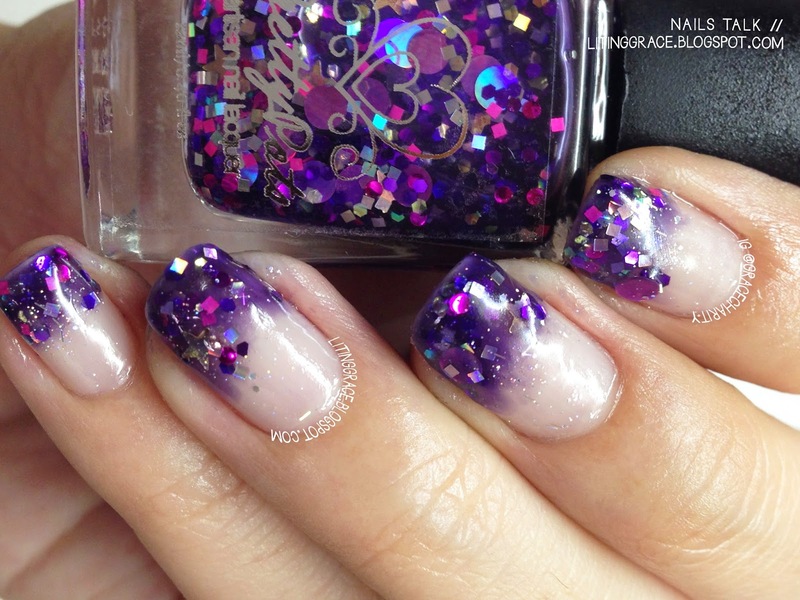 I chose to do a gradient manicure using OPI Which is Witch as the base so that Twilight Reverie will stand out. I've been falling in love with purple of late and I really love this shade! Now for the formula and application. No complaints about the formula, however do take note that you might need about three coats to reach opacity if you are wearing on it's own. Application was smooth but I did have some difficulty fishing the bigger glitters. This can be easily solved by giving the bottle a good shake. Pretty Pots Polish is available on her ETSY store and also at BeautySoFly. Follow them at their respective Facebook page and Instagram account for updates and information on new collections and colours.